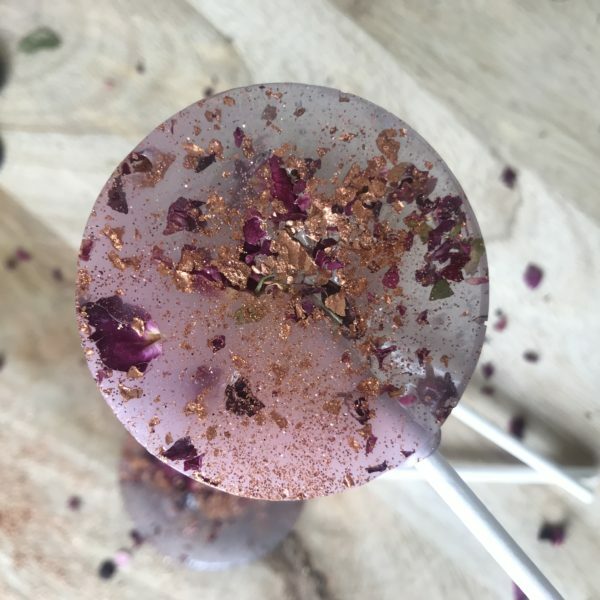 The Luna Rose Lollipop has the dual tones of our Luna star dust but with added elegance and flare! 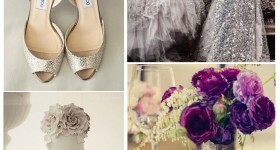 The contrast of clear grey and frosted pink is simply beautiful and the golden sparkles and edible rose add pure glam. 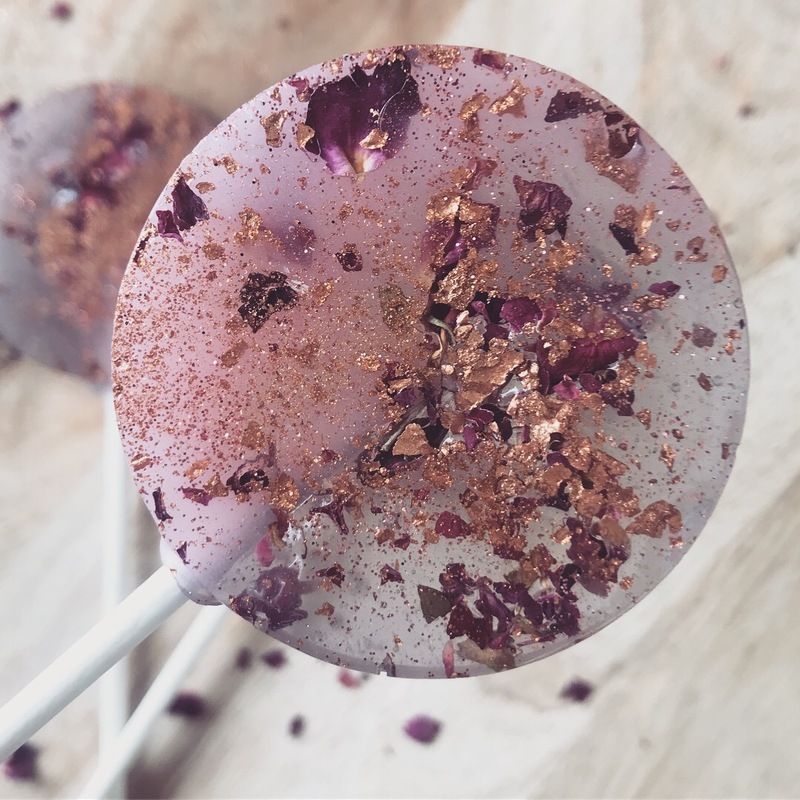 For added fun these come in two different flavours: the frosted pink is rose and the clear grey is cornish ice-cream.The Luna Rose Lollipop really does make the perfect gift for your wedding guests, party guests or as a gift for a loved one. All our lollipop favours come individually wrapped in cellophane. Small blank, stamped or custom card tags are available to purchase. We are able to customise the lollipops to match your colour scheme. Let us know your requirements!